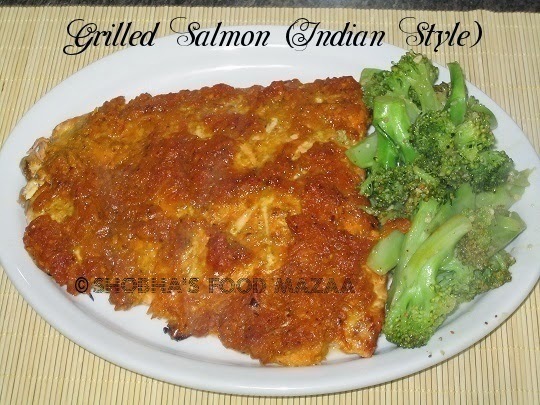 The best grilled salmon recipe made the Indian way .. turned out so delicious. 1. clean/wash the salmon fillet. Make light cuts on it to infuse the masala/marinade flavours. 2. Mix all the spice powders,salt and lime juice with the grated onion. 4. Pour a little oil on a foil paper and place the fish. pour some more oil on the fish fillet and grill it in the oven for 15-20 minutes or until done. Serve hot with boiled or stir fried vegetable. I have served with srtir-fried broccoli with garlic. Give one boil to the broccoli pieces, drain and stir fry with garlic. Temper it as you like. It looks so spicy and yummy. Perfect baked. My Monthly Event - Spotlight : "Healthy Breakfast Ideas". Super recipe and perfectly made !! yummy !! 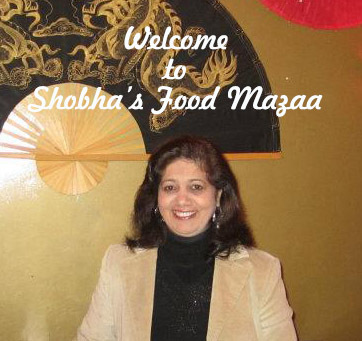 Thank you so much for linking such lovely recipes to my collection of best recipes!! I have missed your delicious cooking. I love salmon. I can smell and taste the goodness right now. Thank you for sharing.